The Michel Serres Institute for resources and public goods is tackling (as a follow up of the last week notes on demography, land and soil issues), the problem of food and hunger. Food considered as a primary resource and commons. At the time the big political agendas are invariably thinking climate (see the upcoming COOP21, Paris 2015), we focus the attention on socio-ecosystemic urgencies as foundation for coherent and credible solutions to climate change. Two recent interviews, with Olivier Assouly and François Collart Dutilleul in the French press are questioning the political incapacity to provide acceptable answers to accessing food for too many human beings. 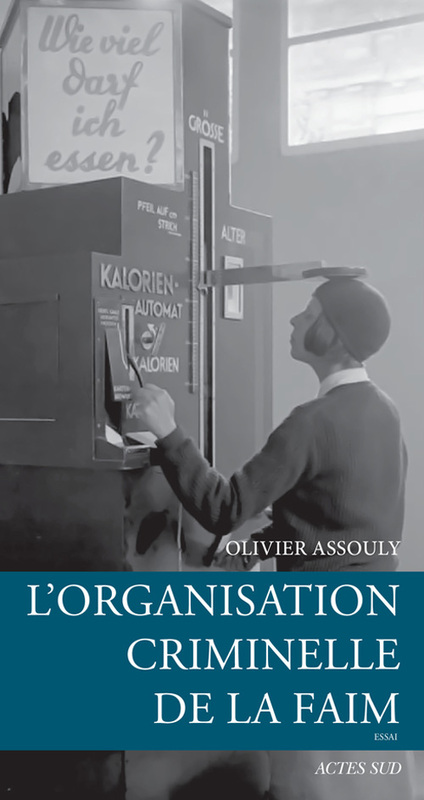 Olivier Assouly (Liberation, february 2014, by Jacky Durand), is philosophy professor in Paris, and published recently “L’organisation criminelle de la faim”(The criminal organization of hunger ; Actes sud, 2013). He explains that food instrumentation has always been used for military and economic design, because “hunger has more constraining power than the law”.Industrial agriculture, land grabbing, agro-raw material speculation, and rules of international trade are among the main levers of this organization. 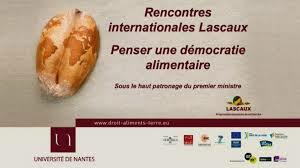 François Collart Dutilleul, (in Liberation,March 2014 by Catherine Calvet and Beatrice Vallaeys) law professor at the Université de Nantes, directs the LASCAUX Program on food security and resource law as a contribution to the Michel Serres Institute legal studies. For him, food “is not just about saving people’s life, it is also about saving humanity”. The right to food, as human right, is today in too strong competition with the right to property. The research considers issues such as “food exception” (with reference to and mirroring the “cultural exception” agreement, arguing that “what is true for the mind, should also be true for the body”), food sovereignty and food democracy. This brings us to a much broader articulation between people and resources, in order to imagine “a law on the adjustment of accessible natural resources with social needs, a necessary complement to the law of the offer and demand”. In his turn, the United Nations Special Rapporteur on the Rights to Food, Olivier De Schutter, and his research team, note that food, from a local resource, has become a trans-national commodity. 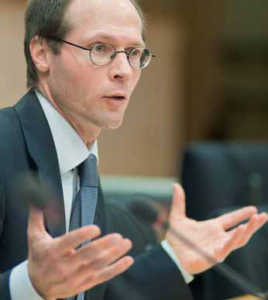 Olivier De Schutter in his Final Report : The transformative potential of the right to food, submitted to the Human Rights Council in accordance with its resolution 22/9 in January 2014 the 24, draws the conclusions from his mandate, showing the connections between his various contributions. We conclude that whatever the agendas, crises, conflicts, and controversies today, the access and re-adjustment of natural resources remains the cornerstone condition in the search for political solutions for most of the global challenges we are confronted with.